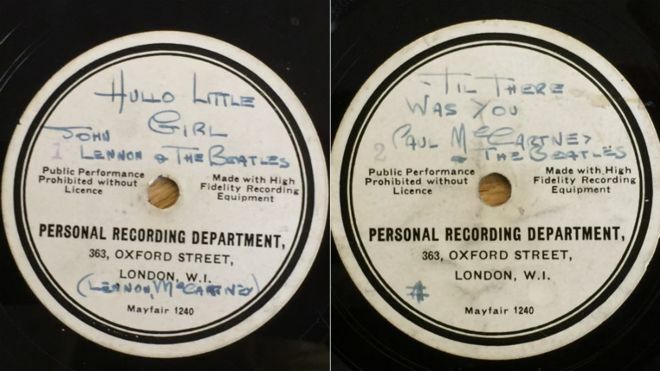 The BBC is reporting that one of the Beatles’ rarest records ever has sold for £77,500 (that’s US$111,721 or AU$147,115) at auction. That was more than seven times the estimated selling price. The record, a 10″ 78rpm single with “Hello Little Girl” on one side and “Till There Was You” on the other, was made at the HMV store in London and is a one-off. It was sold at auction after being locked away for more than fifty years at the home of Les Maguire, the former keyboardist with Gerry and The Pacemakers. He was given the disc in 1963 by the Beatles’ then manager Brian Epstein. Maguire put it away and never thought about it again. Until now. Let’s hope his granddaughter is able to buy a house with the proceeds. 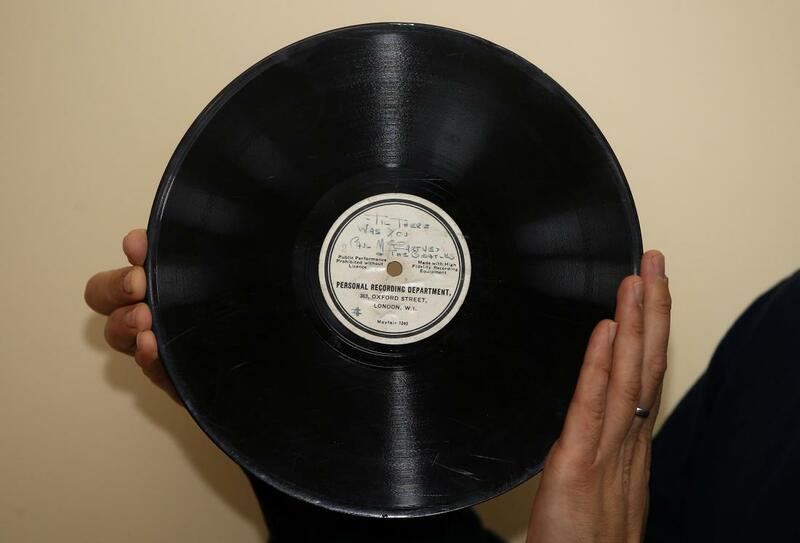 The record was purchased by “an anonymous British collector”. Wonder if it was Sir Paul McCartney? This entry was posted in Beatles, Beatles Collecting, Beatles Music and tagged Beatles, Beatles Collecting, Brian Epstein, Music by beatlesblogger. Bookmark the permalink.